Christopher Columbus was born in Genoa in 1451 and arrived in Spain in 1485. His idea was to establish new quicker spice and silk routes by sailing west in order to reach Asia and India, rather than travelling south towards Africa and the Cape of Good Hope and then eastwards as many spice merchants did at that time. He had unsuccessfully tried to convince England, Portugal and Italy to finance his voyages and although having been against the idea, Isabel la Católica of Spain eventually agreed. On 17th April 1492, Isabel and Fernando signed the capitulations in Santa Fe, outlining the terms and conditions of Columbus' voyage to the Indies. These basically stated that Columbus would be named Admiral of All the Ocean Seas and would recieve a tenth of any riches he found. They also said that if he were willing to pay an eighth of the expenses for future expeditions then he would be entitled to an eighth of their profits. On 3rd August, Columbus and ninety men set sail on the flagship Santa María from Cadiz with two other boats, the Niña and the Pinta. He first landed on an island in the Bahamas which he named San Salvador and claimed for Spain. He was sure that he had reached the Indies. When he later reached Cuba on October 12th 1492, he believed he had reached mainland Japan. He returned to Spain in March 1493. Born in 1804, she married Manuel Peralta, an avid supporter of the liberal cause, when she was only 15. He was to die a couple of years later, and she was left a widow at the age of 18 with two children. It was in the 1820s following the death of her first husband that Mariana became more involved in political activities. She is known to have forged passports to help rebel soldiers to escape but even though her house was searched by the police nothing was found. They returned however on 18th March 1831 and on finding a flag embroidered with the words "Equality, Liberty and Law", she was placed under house arrest. After trying to escape ten days later, she was taken to a convent where political prisoners were held. On 26th May 1831, a mule would take her from the convent to the Jardines de Triunfo where she was garrotted and then buried in an unmarked grave. Her remains have now been exhumed and reburied, and a plaque marks the house (Calle Aguila, 19) where she spent her last years. Gonzalo Fernández de Córdoba ("The Great Captain" or "El Gran Capitán") was an important military figure during the time of the conquest of Granada and is considered to be the father of trench warfare. 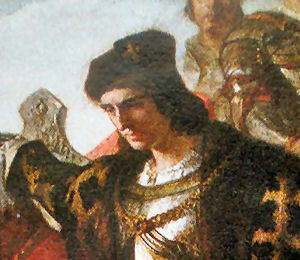 He was born in Córdoba on 1st September 1453. He married twice and his first wife died when he was 36. His second marriage was to María Manrique de Lara y Espinosa, one of Queen Isabel's ladies-in-waiting. They had one daughter. The conquest of Granada lasted 10 years and it was during this time that Fernández de Córdoba learnt his craft as a soldier. As he spoke Berber Arabic, he was able to help with negotiations and the capitulations for the Moorish surrender. As a reward, he was given an extensive area of land near Loja, outside Granada. He was an important military commander during the Italian Wars which saw the defeat of the French under the command of Louis 12th and the conquest of Naples. "For picks, spades and mattocks, a hundred million ducats; for alms so that monks and nuns would pray for the Spanish, one hundred and fifty thousand ducats; for scented gloves so that the soldiers would not smell the stench of battle, two hundred million ducats; for replacing the bells which were worn away by the constant tolling of victory, one hundred and seventy thousand ducats; and finally, for the patience necessary to deal with the trivialities invented by a King upon whom I have bestowed a kingdom, one hundred million ducats." He was recalled to Spain in 1507 and was unemployed until his death in 1515. He is buried in the San Jerónimo Monastery with his wife.